In case you missed it, National Cheesecake Day was earlier this week. I’m usually not one to get into all these proclaimed food holidays, but I’ll take any chance I get to celebrate cheesecake. Who’s with me? 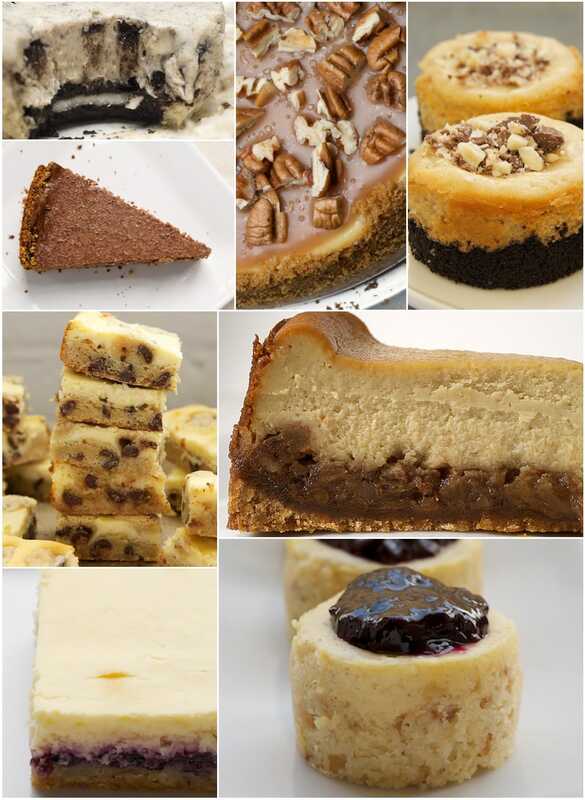 From big cheesecakes to mini versions to bar form, these cheesecakes are some of my favorites. Enjoy! If you love Oreos and you love cheesecake, then I can’t recommend these Cookies and Cream Cheesecakes enough. 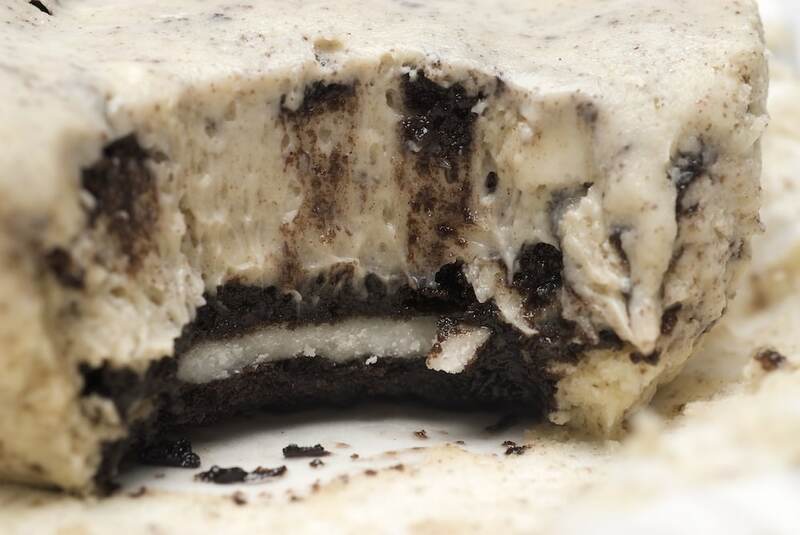 A whole Oreo serves as the crust for a creamy filling that’s full of crushed cookies. But, maybe the best part about them is that you’ll only need one mixing bowl to whip them up. 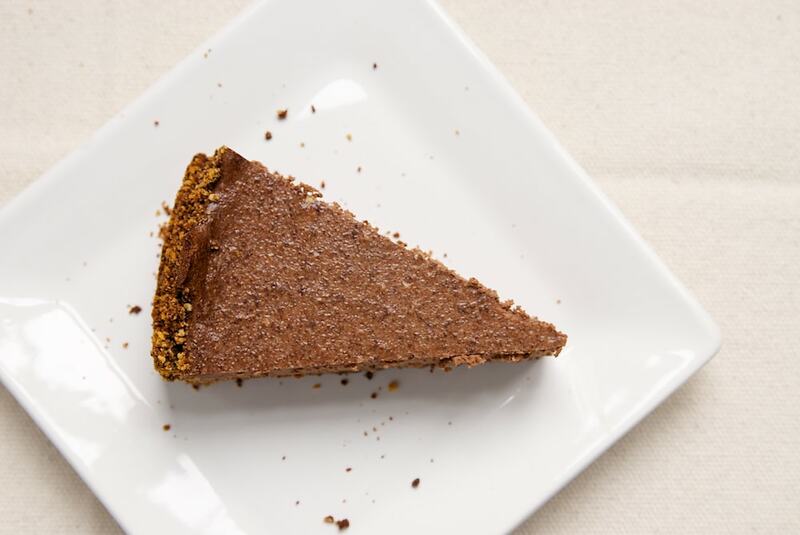 For a cheesecake that’s all about the chocolate, go with Black Hole Chocolate Cheesecake, which features both a chocolate crust and a chocolate filling. There’s a bit of black pepper in the filling, which may seem strange but really works. Okay, my baking friends. This one. This Pecan and Salted Caramel Cheesecake may very well be my favorite. It has the classic components of cheesecake – a graham cracker crust and creamy filling. 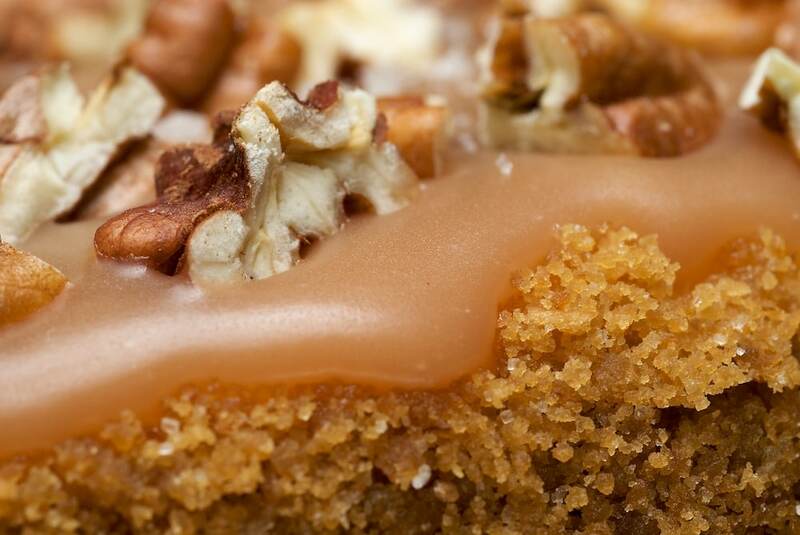 But, then it takes a sweet and salty turn with caramel, pecans, and a sprinkling of salt. Oh, my. I love to make mini desserts, especially mini cheesecakes. I’ve had a mini cheesecake pan for years, and it definitely gets a good workout in my kitchen. 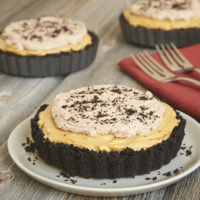 These little Peanut Butter Mini Cheesecakes with Chocolate Cookie Crust feature a chocolate cookie crust and a peanut butter cheesecake filling. 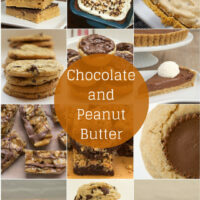 I never tire of the combination of peanut butter and chocolate, and this dessert is a great way to showcase those flavors. 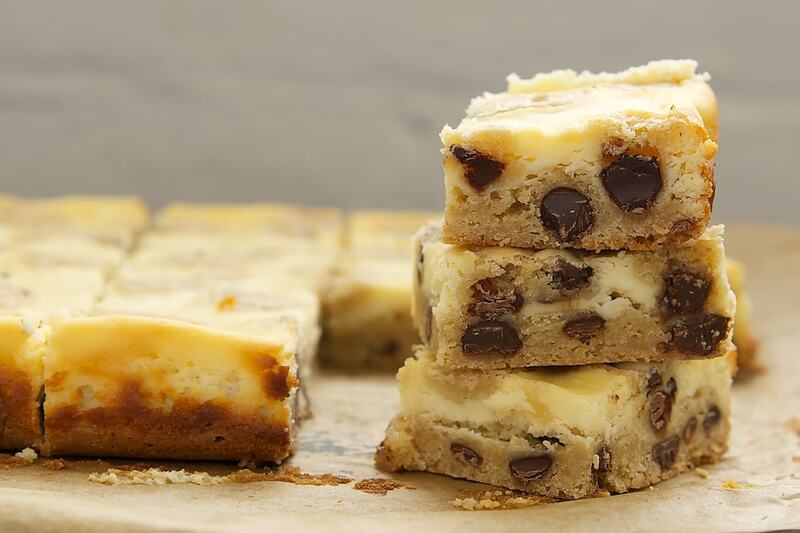 If you’re a bit intimidated by the prospect of making cheesecake, try making cheesecake bars. It’s the same concept but without a special pan. And, they usually bake more quickly, too. 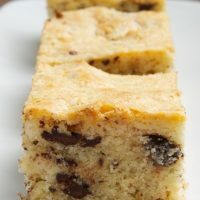 These Chocolate Chip Cookie Cheesecake Bars combine chocolate chip cookies and cheesecake into a sure crowd-pleaser. 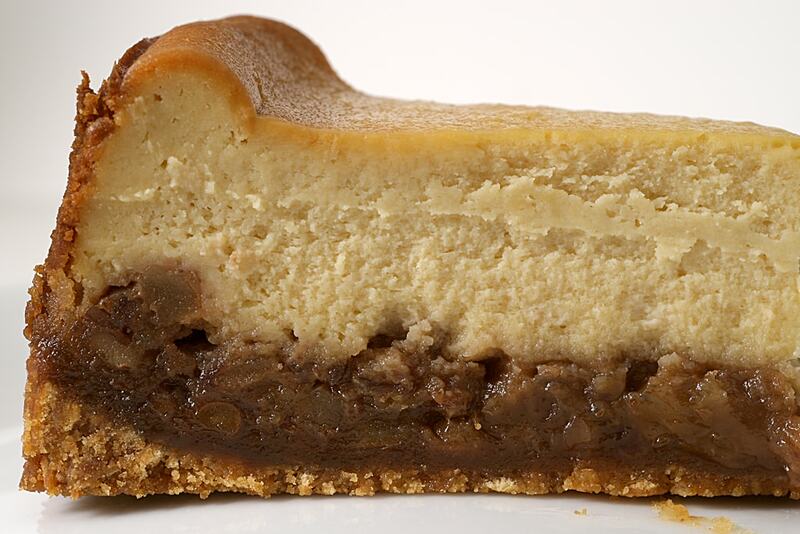 I’ve made this Pecan Pie Cheesecake so many times, and it always gets rave reviews. It starts with a vanilla wafer crust, a layer of pecan pie filling, and then, of course, glorious cheesecake. While you can serve this one any time of year, I especially like it during the winter holiday season. 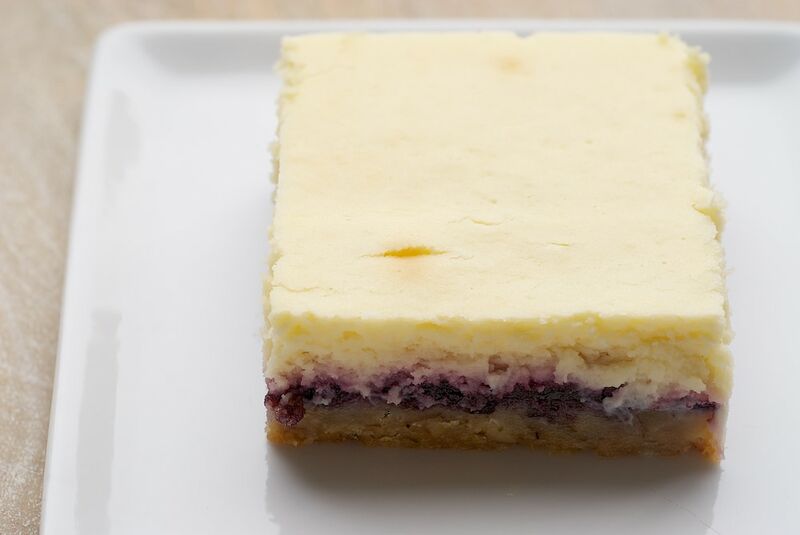 These Lemon Blueberry Cheesecake Bars are a great summery cheesecake treat. 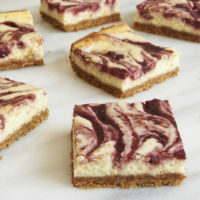 They take a bit of a shortcut by using a layer of blueberry preserves that’s topped with a lemony cheesecake filling. This is a wonderfully simple recipe that can easily be adapted to fit your tastes with different preserves. 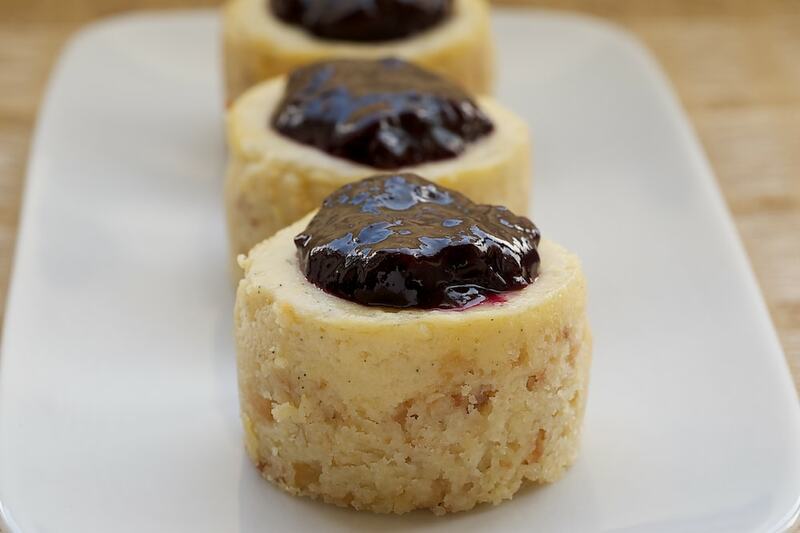 Last but certainly not least are those lovely Vanilla Bean Mini Cheesecakes with Blueberry Sauce. 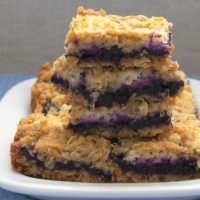 As if all that vanilla and fresh blueberry sauce weren’t enough, there’s toasted coconut in the crust. For a shortcut, use store-bought pie filling for the topping, or try heating blueberry preserves briefly in the microwave and dollop on top of these little cheesecakes. For more cheesecake recipes, be sure to browse the Recipe Index. While I would never pass up anything cheesecake-y, I am most content with a very dense, tall plain cheesecake with no crust at all. 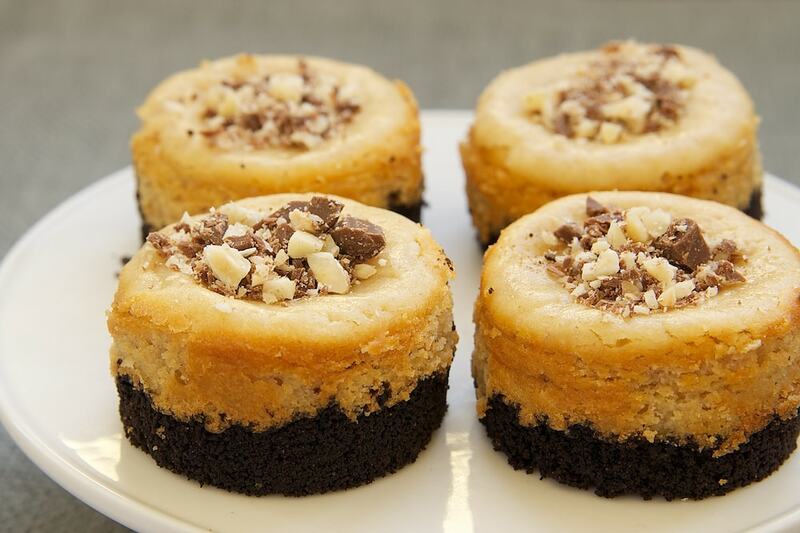 Great cheesecakes. I made one today for my Mom’s Birthday. My fav will be the lemon blueberry cheesecake bar. yum. Cheesecake has been my go-to dessert lately. 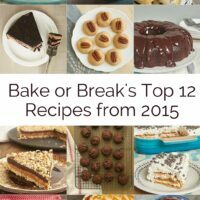 I may have to try out some of these recipes, perhaps the pecan pie cheesecake!